Includes 125 + channels and local programming plus your favorites networks sush as ESPN, Discovery, CNN, Lifetime, TLC, MTV, and much more! Charter TV Isn’t it Time for High-Definition? 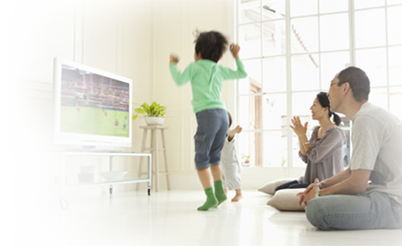 Top-Rated TV Channels in HD + New HD Channels added all the time! 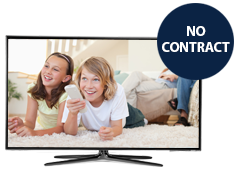 Sign on With Charter TV® and Have More Say in How you Watch Television. Digital technology transforms your TV screen into a dazzling showcase of vivid detail with sensational acoustics. Plus, with Charter, you get all the perks of OnDemand programming that make up a very full menu of entertainment choices. Charter is able to offer competitive offers on cable TV by constantly improving the technology that powers their product. You deserve to watch your favorite movies and shows in 100% digitally flawless picture and sound quality. In addition to next-generation technology and equipment, Charter offers unbeatable prices. Charter continues to offer incentives when you sign up for service. Today, there are even more ways to save on Charter digital cable at BuyCharter.com. If you want high-speed Internet and home phone service, high-speed Internet and cable TV service, you can save with Charter bundles. Price available only when bundled with eligible services. † Internet speeds may vary by location. Bundle price is $89.97/mo. Yr 1 & $109.97/mo. Yr 2; standard rates apply after 2 years. Qualifying bundle includes Charter Spectrum TV® Select, Charter Spectrum Internet® with speeds starting at 60 Mbps and Charter Spectrum Voice®. TV equipment required & is extra; Charter Internet modem is required & included in price; Phone taxes, fees, & surcharges are included in price; other equipment, install, taxes, fees & surcharges may apply. Standard rates apply after 1 year. TV equipment required & is extra; other equipment, install, taxes, fees & surcharges may apply.